You don’t need to wait for months or pay a fortune to get your membership site built. This package is perfect for you if you need a branded membership site with a solid foundation that can grow as your business grows and where you have full control. Offer Online Courses, Recurring memberships, 1 on 1 services or All! Through gamification and progress tracking, keep your members happy and engaged. You have multiple offers? Get your members to purchase more from you from the inside! A WordPress site that will grow as your business grows. Add more courses, a coaching area, a recurring subscription area, the possibilities are endless and you have FULL CONTROL. We starting building private secure member areas back in 1998 in the biotech industry. In 2006 We started our entrepreneurial journey building websites and memberships for entrepreneurs. We saw a gap in the market for a WordPress solution that is fast to implement, robust and doesn’t break the bank. The Membership Launch Box was born in January 2017 and already has over 50 live sites running. The Membership Launch Box is a Customized WordPress website with a membership plugin installed to protect and drip your content based on member access. 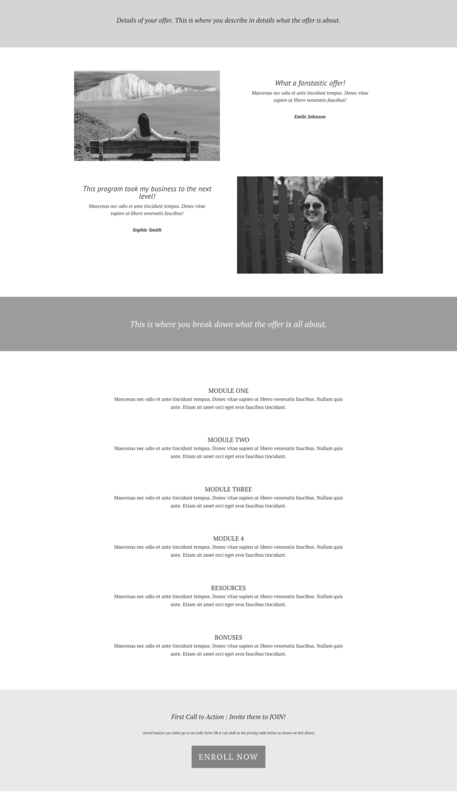 It’s a fully functional WordPress site so you can add any page and plugins you’d like too! 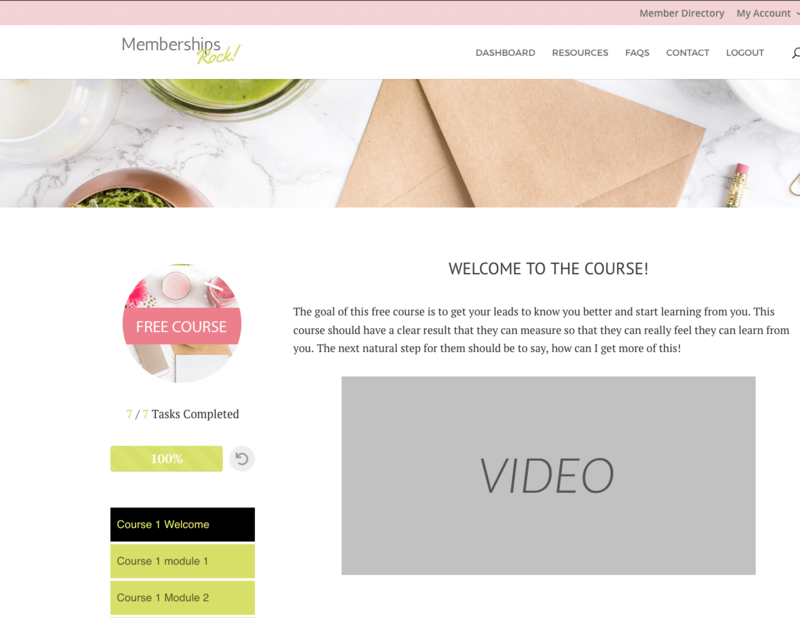 The Membership Launch Box is a fully customized Membership site with a login page, a dashboard and 1 freebie and 1 paid offer (an online course or a recurring membership) setup for you. We put in placeholders and you come in to place your content. This is just an example of customization, we will customize it to your branding. You have FULL CONTROL. This is the page your members see once they login. You plan to build a membership site? An online course? You have both? No problem! You can turn your platform into a portal that showcases all your offers : Membership, online couorses, freebies, coaching (group and individual). A central place for you to manage. 1 central place for your ideal clients to access your products and services. 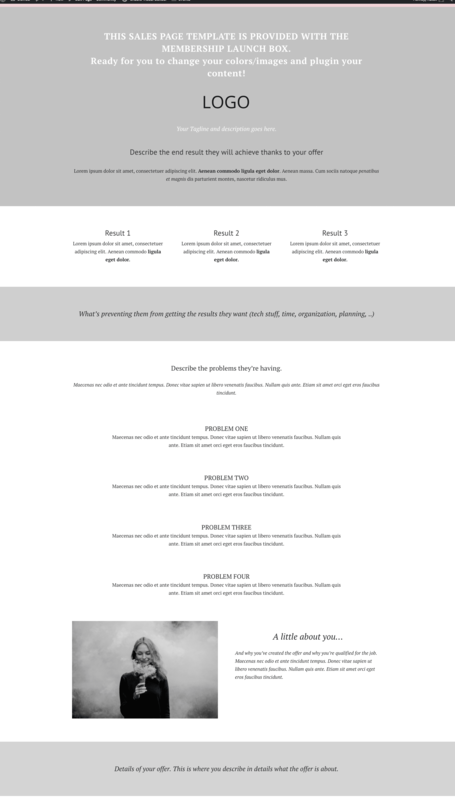 Our smart vertical menus alls for easy navigation through your modules and pages and the accordion style accomodates modules with lots of lessons so the screen is not cluttered by too much information. Prefer horizontal menus? No problem, you’ll love our Slider Menu that keeps track of progress too! Do you have mini courses, online courses that require your members to consume the content in a specific order? Do you want to guide them through the process? You can! Display todo lists, progress bars and/or pie charts to help your members track their progress and stay accountable through the process. Do you want a place for your members to interact with each other but don’t want to have to manage a forum? No problem, the conversations module is what you need. Create as many modules as you like, make them private (so one on one between you and the student) or global so all students can participate. We’ve also added an option for a student to archive a iscussion and/or download it as a pdf. Easily add a button on your dashboard (or anywhere on the site) that will directly link to the page last visited. This will not only help your members and students pick up where they left off, it’s also a great way to keep them focused if you combine it with the display of % completion. Easily share resources with your members thanks to our powerful drag and drop DROPBOX Share. Simply drag and drop files in your dropbox folder and they magically appear inside the member area. Great for call recordings, audios and more! And yes we support signup with Facebook! 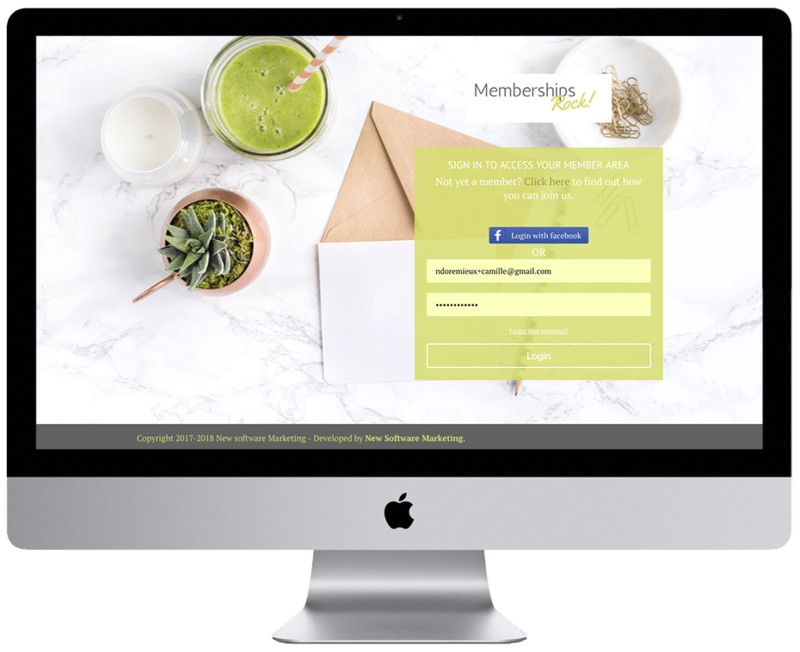 the Membership Launch Box also comes with a sales page template that you can duplicate customize and use to attract leads and clients. Duplicate the page as you need, add your copy and images and you’re all set! Ready to build an amazing platform your members won’t want to leave? We deliver the platform to you in 1 week and we meet again (because we love you!) then you take over and use your VA time to start putting in your content! The Membership Launch Box is a turn-key solution that allows you to build a robust and secure area for your members. If you run multiple programs it will allow you to centralize all your assets and efficiently cross-sell, up-sell/down-sell your products and services. Focus on the right stuff and not worry about the tech. Focus on Selling, Teaching and Scaling your business. Save time and simplify your business by organizing all your content all in 1 central place. built and installed on your domain. 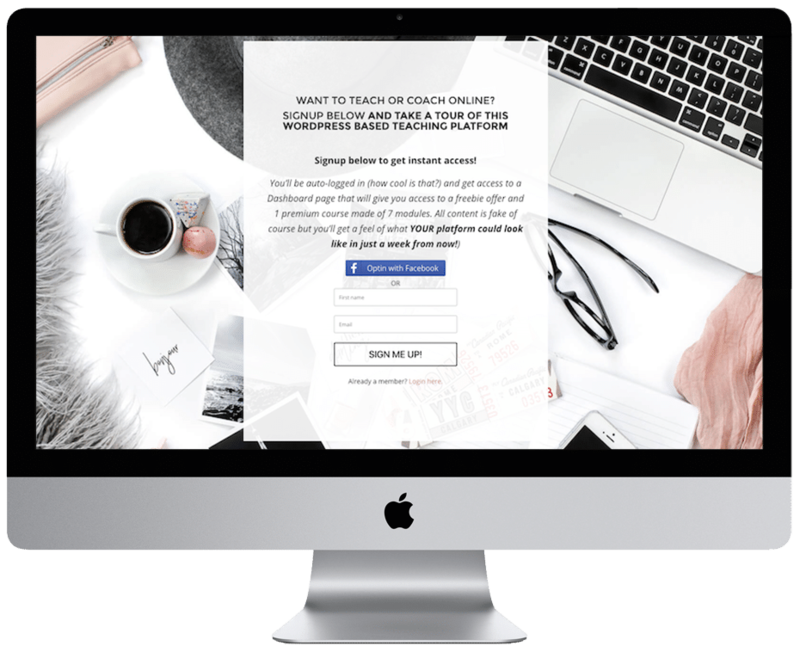 Whether you sell online courses, a recurring membership, 1 on 1 services, the platform can support it! to add content to your platform, add new members, change the layout,.. through our ticket system. Our own membership that includes tutorial videos, and our super cool ticket system to manage the VA tasks. – We can use either MemberPress, WishlistMember or AccessAlly as the membership plugin. (Licenses need to be under your name and purchased separately). – CRM/Email system: we work with all major email systems. We’ll need to make sure that yours can work with the membership plugin that best fits your needs. HOW LONG WILL IT TAKE FOR ME TO SETUP MY MEMBERSHIP ONCE IT'S DELIVERED? You can be up and running that same day!It really depends how much content you have to put in. During the delivery call we can discuss the best way for you to setup your content (with the help of your VA time included!). CAN I CUSTOMIZE IT FURTHER AND ADD MORE PAGES? Absolutely. 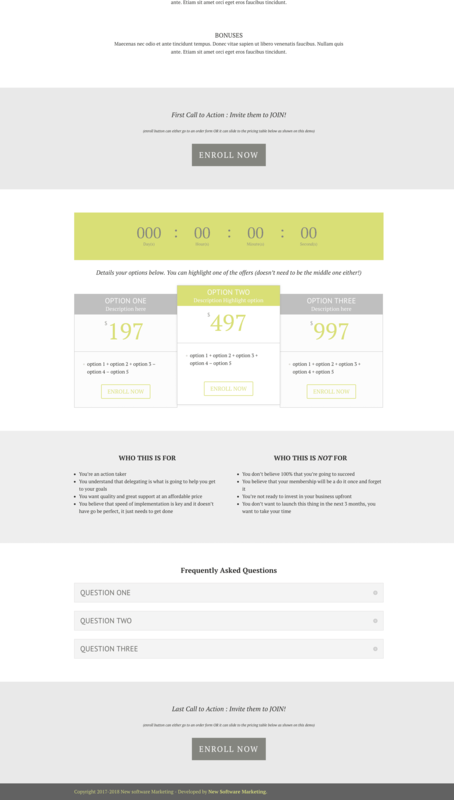 It’s a WordPress theme so you can add more plugins, create pages,etc.. The tutorial videos inside the Tech Lab will even show you how to change your branding and the layout if you ever want to do that. You have Full Control. But remember you also have 3h of VA time per month! I AM NOT TECHIE AT ALL? IS THAT FOR ME? YES! It’s a no tech Hassle platform, you have instructions and access to us if you have any questions and the 2h per month of VA time. You’re in good hands! 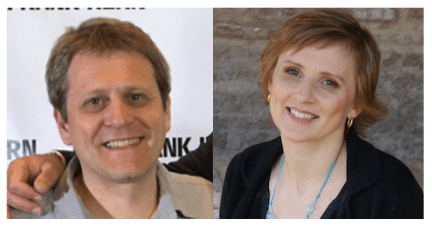 WHO WILL OWN THE WEBSITE? You do. If you choose to cancel, the site will not disappear and will stay yours forever. You will however lose access to support and the tech lab and tutorial videos. Once you signup the One Time fee is non refundable. You can cancel any time with no minimum period though. I'M NOT SURE THIS IS FOR ME, IT LOOKS TO GOOD TO BE TRUE, I HAVE QUESTIONS! You Run Your Business. We Handle The Tech.